There are many sites advertising IPTV services for a price. There are however ways to watch streaming channels for free, though it may involve a bit of searching for working links and installing some free software on your computer (VLC Player) or purchasing an Android TV box. Of course a TV app such as Smart IPTV or dedicated TV box connected to your TV is going to be a far better option than always having to use your computer. There are many devices available on the market, though an Android TV box is probably the best option for watching IPTV for free, there are many free TV apps available and Kodi. Those wanting to use Apple, should note that not all apps will allow you to use Airplay through an Apple TV. There is also an app called Smart IPTV available on LG and Samsung Smart TVs, it is not free and all streams will have to be added by the viewer. Another app Simple Smart IPTV is also available on LG TVs. 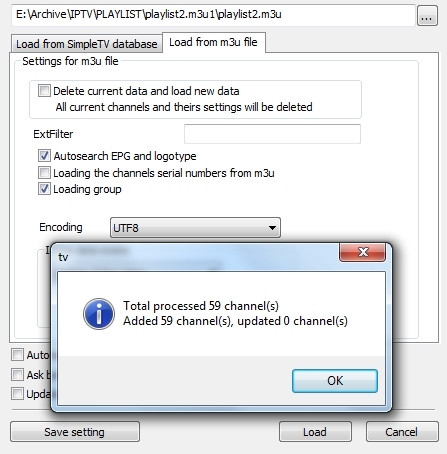 M3U is a file format that contains multimedia playlists. It was originally designed for audio files, such as MP3, though it is often used to point to play video file lists of live TV streams. An M3U file is a plain text file that specifies the locations of one or more media files. The file is saved with the “M3U” or “m3u” file name extension. If an m3u file is edited with a text editor, it must be saved in the Windows-1252 format, which is a superset of ASCII. “m3u” files properly use the Latin-1 character set. Some M3U files may already use UTF-8 character encoding. However, M3U files may also use other character encoding standards. Therefore, the M3U8 extension is used to explicitly state that UTF-8 character encoding is used. #EXTM3U (File header). This is the format descriptor, (or Extended M3U as it can be called). It is always on the first line of the playlist. A file with the M3U8 file extension is a UTF-8 Encoded Playlist file. The Unicode version of “m3u” is “m3u8”, which uses UTF-8 Unicode characters. “m3u” and “m3u8” files are the basis for the HTTP Live Streaming format used by Apple to stream video to iOS devices. A playlist can easily be divided in to groups such as News, Music, UK TV, this makes finding channels much easier. Some satellite receivers have a Web TV option suchas the IceCrypt S1600CHD SE, this requires the playlist to be saved as Web TV List as a text file. The links provided below are for educational purposes only, please respect copyrighted material. This site accepts no responsibility for any improper or illegal use. FreetuxTV WebTV Manager is a database with links from around the globe. The site tests links, Working, Test failed or dead, next to them. Playlists, Live TV, KODI Amazon Fire, Android and IPTV. 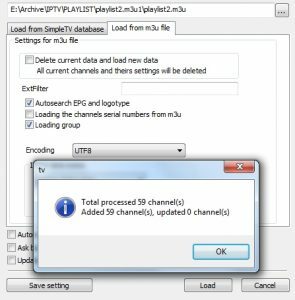 IPTV Playlist Editor is a programme for editing and exporting playlists that contains informations about channels from ISP’s IPTV configuration. It provides basic channel editing such as channel information, channel reordering, removing, duplicating. Iptv.online-tv.ws provides links found around in internet for playing iptv streams with various software ,like vlc player ,simpletv,mediaplayer. Links are for education purposes only, no adult or copyrighted links. Welcome to the IPTV Forum ; IPTV Android Free Channels HD Online Fw IPTV Mag250. IPTV XBMC M3U The Worlds largest database of M3U and APK downloads. A list of programs that can open files with .m3u8 extension.This list is created by collecting extension information reported by users through the ‘send report’ option of FileTypesMan utility. The product name, description, and company name are taken from the version information of the .exe file. Simple Smart IPTV is one of the most popular Smart TV applications in Eastern Europe. SS IPTV was the first app of LG Smart World, that provided opportunity of IPTV watching for its users . This app was high rated by jury of LG Smart TV Apps Contest 2012 and got the prize in the main nomination – The best app. Commercial app for viewing IPTV on LG and Samsung Smart TVs. Plays most codecs with no codec packs needed: MPEG-2, DivX, H.264, MKV, WebM, WMV, MP3.